Find out what our client are saying! 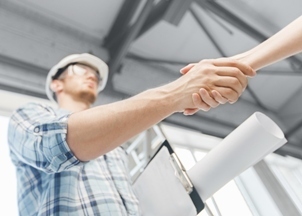 Construction and real estate businesses that survive and thrive have discovered that partnering with a CPA firm that truly understands their industry is crucial to success. Emil Estafanous, CPA is unique among Los Angeles County CPA firms because we have solid experience in every aspect of accounting, tax planning, and business consulting for this complex industry. When you take advantage of our financial reporting services, you'll manage your finances better and make smart business decisions because you'll always have an up-to-date understanding of income and overhead expenses. We'll help increase your profits by improving internal controls, finding better ways to manage cash flow, and reducing your tax liability. And with this CPA firm on your side, you'll never have to worry about payroll taxes again. We'll take over your payroll processing including all your tax filings so you can be confident that your business always in compliance with State and Federal tax laws. At Emil Estafanous, CPA, we work with a variety of construction businesses including contractors, tradesman, and home builders. We also serve both residential and commercial property management companies. Request a free consultation online or call 562-868-6333 now to discuss our real estate and construction accounting services. Our tax planning strategies will reduce your taxes and keep more money in your pocket. We can take payroll taxes off your hands so you can focus on your business. 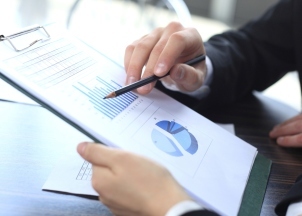 Our business consulting services are designed to help you monitor your finances with ease.